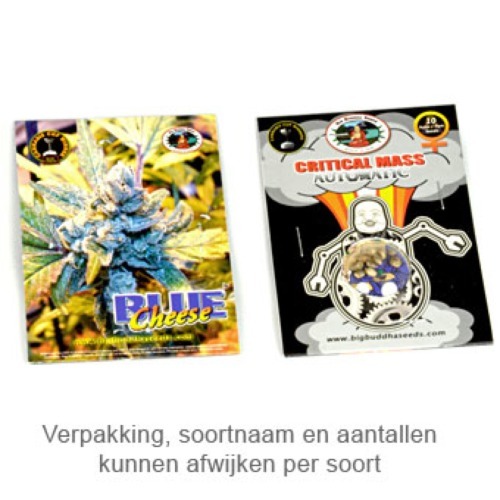 Freeze Cheese 89 from Big Buddha Seeds are feminised cannabis seeds that emanate from celebrities. This nice weed strain is originated by crossing the Big Buddha Seeds Cheese x a famous ‘’Frieslandse’’ Indica from 1989. This weed strain is mainly Sativa. Big Buddha Seeds Freeze Cheese 89 is a weed plant that is very easy to grow. It produces a very nice and high yield. This strain is appropriate for an indoor grow and outdoor grow. By smoking this weed you feel a real fuzzy oldschool high that later turns into an intense stoned feeling. Tell us and our customers what you think of the Freeze Cheese 89 from Big Buddha Seeds.